As Montgomery County and the nation celebrate the Week of the Young Child, here are some facts about the County’s young children and their families. 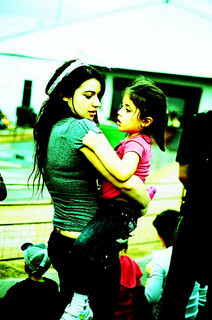 There are over 66,000 young children under age 5 in Montgomery County. The number of families with young children in the County is growing. The number of families with children under age 6 in Montgomery County grew by 11% between 2000 and 2010, from 27,701 families to 30,680 families. Child care is a major expense for families. The average weekly cost of full-time child care for an infant in Montgomery County is $348.00. 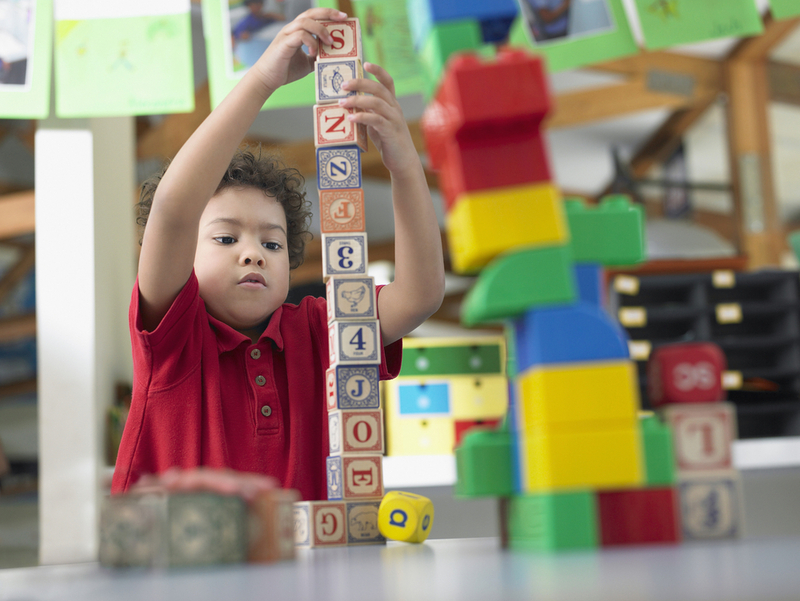 The average weekly cost of full-time child care for a preschooler in Montgomery County is $259.00. 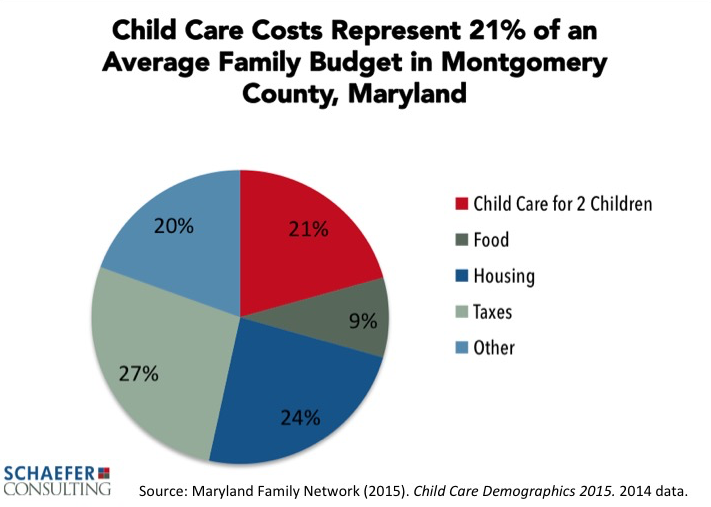 Child care costs represent 21% of an average family’s budget in Montgomery County. This estimate of average family expenses is based on a family of four with an average family income within the County. It includes the average cost in Montgomery County for full-time infant care in a family child care home ($12,452), and the average cost for full-time child care for a preschooler in a child care center ($13,451), totaling nearly $26,000 in average annual child care costs for two young children. Although Montgomery County is relatively affluent, 9.7% of the County’s children live in families with incomes below the poverty level. There were 23,094 children under age 18 in poverty in the County, according to 2013 Census estimates. Maryland Family Network. (2015). Child Care Demographics 2015. For additional detail on data sources, see PDF version of this post with endnotes.